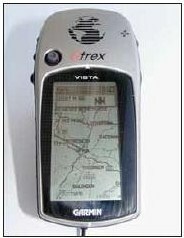 The first commercial GPS receivers were on the market in 1982. The receivers were large and bulky and could only track four satellites simultaneously. The satellites to track had to be selected manually on the receiver. Moreover, national geodetic agencies, research institutions and universities spent up to €250,000 for a single receiver. Today, modern receivers are much more sophisticated and can track GPS and GLONASS satellites simultaneously on more than 50 channels. Some of the latest receiver models can also track Galileo signals. Everything from satellite tracking to coordinate determination are computed automatically in real time. At the same time, costs of new receivers continue to decrease. A high-end geodetic quality GNSS receiver costs around €20,000. If a user is restricted to single-frequency, geodetic quality receivers, one would still have to spend €5,000 to €12,000. In general this does not pose a problem in developed countries, but it may be a drawback in developing countries or for tasks where the surveyor needs several receivers for specialized tasks such as monitoring. In this contribution the authors will present several topics on the cost-effective use of GNSS. There are two possibilities to economize resources. The first pertains to a reference site or a network of reference stations and the second primarily concentrates on the rover or users side. For the first, we initially focus on Continuously Operating References Station (CORS) networks that provide the reference site(s) data and metadata to the users. For the second, the report proposes to use low-cost (under €150) GNSS receivers instead of high-end geodetic quality receivers. After giving an overview on GNSS and geodetic positioning, both approaches and their opportunities are presented. Finally, several cases on estimating the working costs will be developed and analyzed. Normal geodetic GNSS surveys are based on high-quality GNSS receivers and antennas. Frequently, the surveying community uses dual-frequency receivers to solve the ambiguities faster and more reliably. In the last few years, single-frequency receivers have proved to work very reliably if baseline lengths are below 10 km to 15 km. This opens up the market for receivers that are used for navigation since these receivers generally have a single frequency. Table 1 compares the characteristics between navigation and geodetic quality receivers. In general navigation type receivers do not use the phase data. This problem is overcome by some manufactures where they provide access to the code and phase measurements from the raw via a serial or a USB interface. Some of manufacturers (e.g. u-blox) are officially documenting their format while others (e.g. Garmin) do not provide official format information or guarantee that the format will exist in the future. For geodetic applications, highly precise antennas such as the micro-strip and choke rings are commonly used. 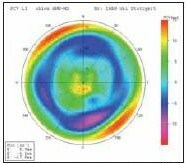 They are constructed to reduce multipath effects and phase centre variations as well as type specific variations pertaining to the antenna phase centre offset. These choke ring antennas may cost up to €10,000. Sometimes the GNSS receiver and antenna are integrated as one unit. In contrast, many navigation type receivers integrate low-priced, simple antennas directly into their receiver box, while some receivers simply connect to an external antenna via a cable. In the latter case, the antenna may be fixed such as on the roof of a car using a magnet on the antenna casing. Portable antennas usually vary in price but start at several Euros. In general however, an antenna and a receiver are sold as a package. The quality of the performance of navigation type receivers can be improved if precise geodetic antennas are used. In this example, the cost-effectiveness is clearly reduced, so in this report the combination of navigation type receiver and navigation type antenna is mainly considered. The advantage of precise geodetic antennas can be reduced or even eliminated if the navigation type antennas are calibrated. Figure 5 shows an example for the u-blox ANN-MS antenna (in combination with the u-blox LEA 4T receiver). Additionally, the navigation antennas need the capability of being leveled and centered. 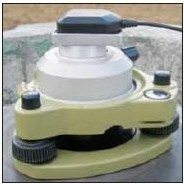 Figure 5 shows an adapter that combines geodetic style equipment, such as the Leica tribrack, with a u-blox ANN-MS antenna. Some experiments show that metal ground plates often reduce multipath effects, especially when metal reflectors such as a car roof are nearby. In the following section, an overview on low-cost receiver-antenna combinations is given. The entries in the table are given as an example, mainly because the content and number of combinations in the table will change rapidly in the future. The overview is restricted to exemplary Garmin and u-blox receivers for prices up to €150 for a receiver-antenna combination. The accuracy of coordinates determined by low-cost receivers is very similar to those obtained from geodetic type receivers. Hill et al. (2001) reports standard deviations below the decimeter level for Garmin receivers. Schwieger documents accuracies around 2 cm for baselines up to 1.1 km using a Garmin eTrex receiver (Schwieger, 2007 and Schwieger & Wanninger, 2006) and below 2 cm for baselines up to 7 km using a u-blox AEK-4T receiver (Schwieger, 2009) with observation times between 20 and 30 minutes. Abidin & Muchlas (2005) obtain standard deviations below 20 cm for baselines up to 100 km in length with 20 minutes occupation time. In conclusion, the accuracy is not equivalent to single- or dual-frequency geodetic receivers but for many surveying applications the level is sufficient. In 1994, William E. Strange, the Chief Geodesist of the National Geodetic Survey, was the first individual who defined the term Continuously Operating Reference Station (CORS) as a permanently installed geodetic quality receiver and antenna positioned over a monument or point which collected GPS data 24 hours a day, every day of the year. The initial idea was to establish a network of CORS so users could use data from any of the permanent stations with their own GPS equipment. CORS networks typically have GNSS receivers that provide carrier phase and code range measurements in support of 3-dimensional positioning activities. Today there are numerous CORS networks that have been established throughout the world to support an unlimited number of applications. Engineers, surveyors, GIS/LIS professionals, scientists and others can apply CORS data to position points at which GNSS data have been collected as well as using the data to model a number of physical systems. A CORS system enables positioning accuracies that approach a centimeter or better relative to a worldwide network, such as the ITRF or to a local network such as the NAD83 in the United States. CORS systems benefit from a multi-purpose cooperative endeavor involving numerous governmental, academic, commercial and private organizations. As an example, the diagrams shown below illustrate the agencies and sectors that participate in the National CORS network of the United States. Fig 7: Federal, state, local, commercial and academic participants of the CORS network in the United States. The size and complexity of a CORS network varies considerably and therefore one station design cannot address all configurations. However, the following areas should be considered when planning new CORS or expanding an existing network. GNSS receivers should be able to track multiple constellations such as simultaneously collecting data from the GPS and GLONASS systems. The receiver should also use a geodetic quality antenna, preferably one that minimizes multipath and is mounted to a pillar or other stable structure. For remote installations, an enclosure to house power supplies, batteries, a computer and telecommunications equipment is strongly suggested. If the CORS station is part of a mission-critical program such as the Wide Area Augmentation System (WAAS) offered by the Federal Aviation Administration (FAA), then installing multiple receivers at a location is worth considering. The following figure below depicts a typical CORS installation from the Plate Boundary Observatory (PBO) in the Western United States. Fig 8: Typical CORS station configuration for the Plate Boundary Observatory (PBO) network. Courtesy UNAVCO, CO.
For large CORS networks, the design may include regional data centers for quality checking, processing, distributing and archiving GNSS data. Most networks around the world collect and disseminate GNSS data 24 hours a day as well as offering other services and IGS products such as broadcast and precise ephemeris and clock information for post processing. There are also an increasing number of data centres which offer real time RTCM-104 format data streams using the Networked Transport of RTCM via Internet Protocol (Ntrip). Ntrip is an open protocol based on the Hypertext Transfer Protocol HTTP/1.1 and has many advantages such as having the ability to stream any kind of GNSS data, disseminating numerous streams simultaneously and can be used over mobile IP networks using TCP/IP. Data centers that offer RTCM or real time data streams usually have a server known as an NtripCaster that listens for requests from users NtripClients for one or more data streams. The data streams are then used to support stationary or mobile applications such as rapid static and kinematic surveys, hydrography, LIS/GIS development and vehicle navigation. These types of data centers will play a more significant role as the need for faster and more readily available GNSS information is desired. •	Online Positioning User Service – OPUS: Service (OPUS) from the National Geodetic Survey is a web-based service to provide GPS users with an easy method to submit and process their data in an accurate and reliable fashion. The end products are two sets of geodetic coordinates having a precision of about 1.0 cm and are consistent with the latest ITRF coordinate system and the National Spatial Reference System (NSRS) of the United States. •	Scripps Coordinate Update Tool – SCOUT: The Scripps Coordinate Update Tool (SCOUT) is also a web-based geodetic tool that can be used to compute a set of coordinates for a station. •	AUSLIG’s Online GPS Processing Service – AUSPOS: AUSPOS is also a web-based positioning utility which provides users the ability to submit GPS data to a processing system. This free service accepts static, dual frequency, geodetic quality data and makes use of the Geocentric Datum of Australia (GDA) and the International Terrestrial Reference Frame (ITRF). •	Canadian Spatial Reference System Online Global GPS Processing Service – CSRS-PPP: Natural Resources Canada (NRCan) provides a precise point positioning (PPP) service through the web which can compute highly accurate positions from raw GPS observation data in a post-processing mode. The PPP system uses precise IGS orbit and clock information and can accept static or kinematic data from either single or dual frequency receivers. The estimation of the financial benefit is described in this section. This benefit cannot be 100% correct since the labor costs are quite different in most countries. For this reason, approximated values and intervals are introduced and shown in the following figures. We use an interval from €1 (lowest level, developing countries) to €70 (developed countries) to get a rough estimation. As a variant 1, the benefit of a using a CORS reference station network is presented. For this variant, the surveyor economizes the financial resources to be spent for the receiver at the reference site and for one person to assemble and care for the reference receiver during the measurement stage of the survey. Geodetic dual-frequency receivers having a price of €20,000 are used for the comparison. It is assumed that a receiver can be used for three years and would therefore give a €6,666 per year operational cost. Two variants could be investigated. The first is when the service is free of charge and the second is when you have to pay for it. For the second case an interval from €500 up to €3,000 per year as possible flat rates may be considered. The authors assume a flat rate of €1,000 per year. The third possibility is the combination of both, the use of low-cost receivers with a CORS network Figure 9 illustrates the benefits of the different variants with respect to the GNSS without cost reduction for three labor cost levels (€1, €10 and €70). The benefits and cost savings in using a CORS station or network is important in many cases, but for developed countries it is most beneficial because labor costs are high and these are the ones to be optimized in this variant. Variant 2 is most important for very low labor costs but becomes less attractive with increasing labor costs, especially when they are given as a percentage. The benefit is further improved for the combination of both variants. FIG Commission 5 – Positioning and Measurement would like to emphasize that there are many possibilities when performing static and kinematic surveys and are encouraged by the results delivered by current GNSS positioning technologies. The reliability, promptness and accuracy of the hardware and techniques will continue to increase in the future, especially when the number of available satellites continues to grow from year to year. The main focus of the report was to describe the use of this emerging technology in a cost-effective way and to illustrate the cost advantages of these technologies. The advantages shown will hopefully encourage surveyors all over the world to establish cost-effective surveying practices using GNSS positioning within their profession. This contribution is a short version of the official FIG Commission 5 publication No 5 (Weston & Schwieger 2010). It is available through: http://www.fig.net/pub/figpub/pub49/figpub49.pdf. 1. Abidin, H.Z., Muchlas, A. (2005): GPS Surveying using Navigation Type Receivers. South East Asia Survey Congress 2005, 21-25 November, Bandar Seri Begawan, Brunei. 2. Hill, C.J., Moore, T., Dumville, M. (2001): Carrier Phase Surveying with Garmin Handheld GPS Receivers. Survey Review, pp 135-141. 3. Schwieger, V. (2009): Accurate High-Sensitivity GPS for Short Baselines. FIG Working Week, Eilat, Israel, March 3-8, 2009. 4. Schwieger, V. (2007): High-Sensitivity GPS – the Low Cost Future of GNSS. FIG Working Week, Hong Kong, SAR, 13.-17.05.2007. 5. Schwieger, V., Waninger, L. (2006): Potential von GPS Navigationsempfängern. In: GPS und Galileo. Beiträge zum 66. DVW-Seminar am 21. und 22. Februar 2006 in Darmstadt, Wißner Verlag, Augsburg, 2006. 6. Stone, W. (2006): The evolution of the National Geodetic Survey’s Continuously Operating Reference Station network and Online Positioning User Service, Proc. ION-IEEE Position, Location, and Navigation Symp. Apr: 653-663. 7. 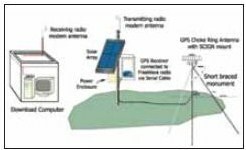 Weston, N.D., Schwieger, V. (2010): Cost Effective GNSS Positioning Techniques. FIG Publication No 49, FIG Commission 5 Publication. The International Federation of Surveyors, Copenhagen, Denmark, 2010.